This coffin finished with a willow edging, rope handles & fasteners and a cotton padded lining, quilt & pillow. 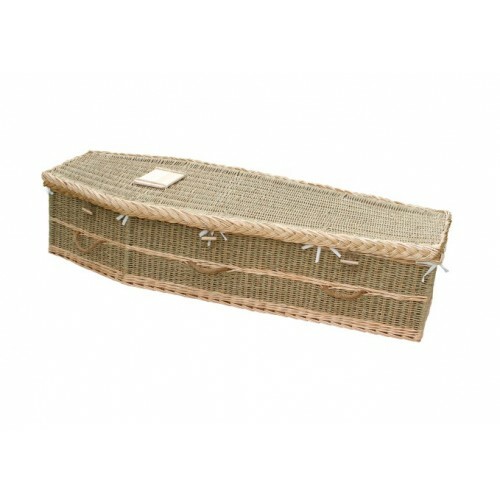 The Seagrass has been designed around a sturdy cane frame adding support to the coffin. It is renewable and comes from an environment where sustainability practices are employed.